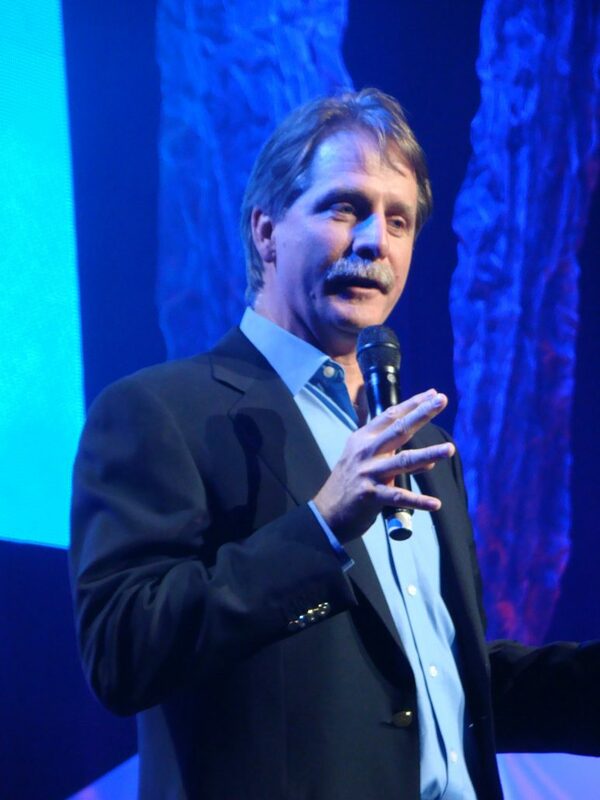 Contrary to some people’s popular belief, Jeff Foxworthy is not some overnight success story. 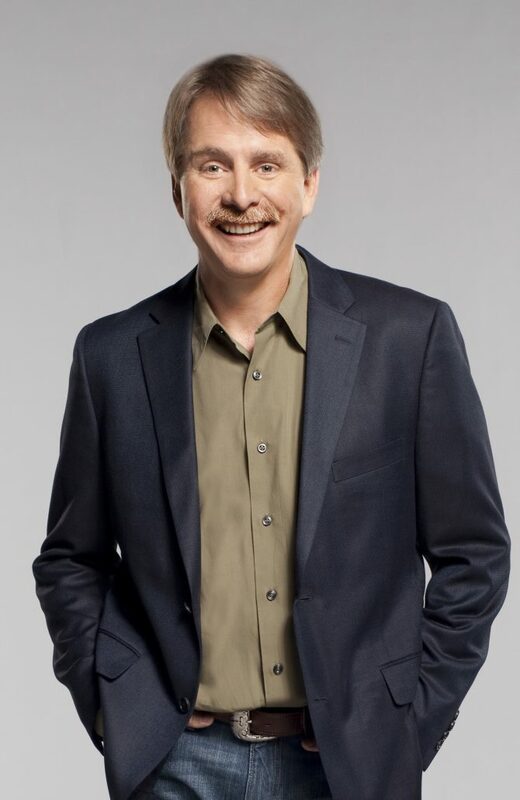 Before starring on The Jeff Foxworthy Show for two seasons, releasing many best-selling CD’s and books and selling out major theaters, Foxworthy was practically on a first-name basis with every Holiday Inn manager in the country. Years of relentless touring, mastering the art of sleeping while standing and waking up at the crack of dawn to do morning radio and television interviews, all have helped mold Jeff into one of the most respected and successful comedians in the country. 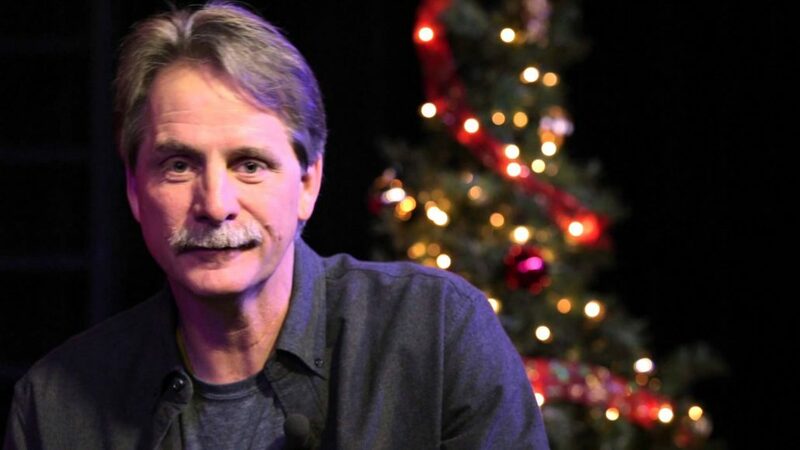 In April 1999, The Jeff Foxworthy Countdown, a weekly syndicated three-hour radio show, debuted featuring Jeff bringing fans the current Top 20 hits as well as interviews with country stars. The show is carried in over two hundred markets across the United States. Jeff received a CMA nomination in 2001 for Broadcast Personality of the Year. January of 2003 will mark the release of “The Blue Collar Comedy Tour” feature film, which is based on the highly successful tour. 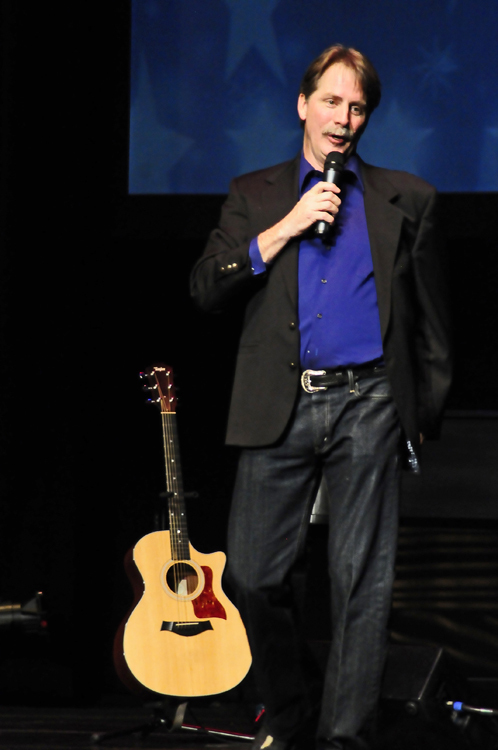 Jeff co-headlines the tour with Bill Engvall and features special guests Ron White and Larry the Cable Guy. To date, the tour has grossed more than 12 million dollars. A live album was also released in November of 2000. 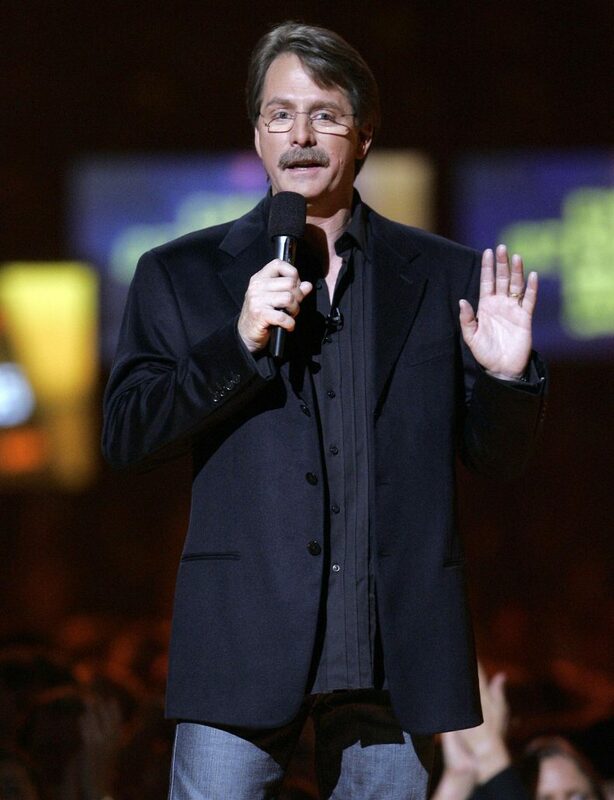 To date, Jeff’s comedy recordings have tallied sales of over thirteen million units making him the largest selling comedy-recording artist in history. 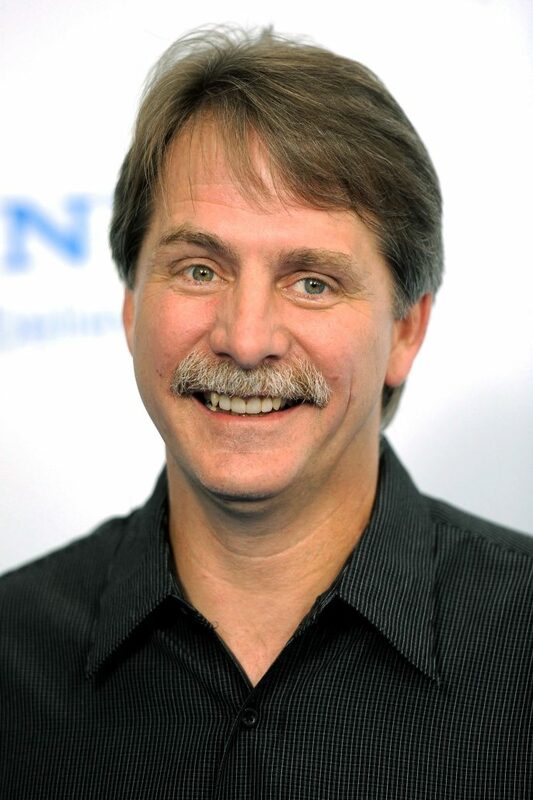 Jeff’s last album “Big Funny” on DreamWorks Records received a 2000 Grammy nomination, the fourth honor Foxworthy has received for his recording efforts. The CD features the hit single “Blue Collar Dollar” with Marty Stuart and comedian Bill Engvall. “Totally Committed,” which was released in May, 1998 has reached gold status and also received a 1999 Grammy Award nomination. 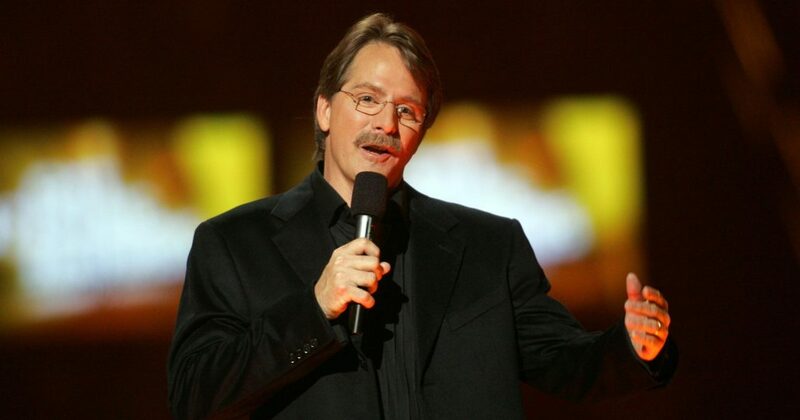 His first CD, “You Might Be A Redneck If…” (Warner Bros./1994) has been registered triple platinum status (three million units), the only time a comedy CD has surpassed this mark. It has also become the largest selling comedy recording of all time. The tremendous reaction to this CD resulted in both a music video and a single entitled “Redneck Stomp.” His July 1995 release, “Games Rednecks Play,” was certified platinum a mere five weeks later. “Games Rednecks Play”, which is now triple platinum, went on to receive a 1996 Grammy nomination for Best Comedy Album. Crank It Up: The Music Album”, was released in the fall of 1996 and contains the hit single and video “Party All Night” featuring Little Texas. The single “Games Rednecks Play” with country star Alan Jackson also appears on the album and was nominated for a 1997 Grammy for Best Vocal Collaboration. The single was Jeff’s salute to his hometown of Atlanta, the host city of 1996 Summer Olympic Games. A regular on such shows as “The Tonight Show” and “The Late Show with David Letterman,” Jeff also has an HBO special and two Showtime specials to his credit. With critical acclaim and rave reviews from the first special, Jeff landed his second Showtime special, which earned a Cable ACE Award nomination. 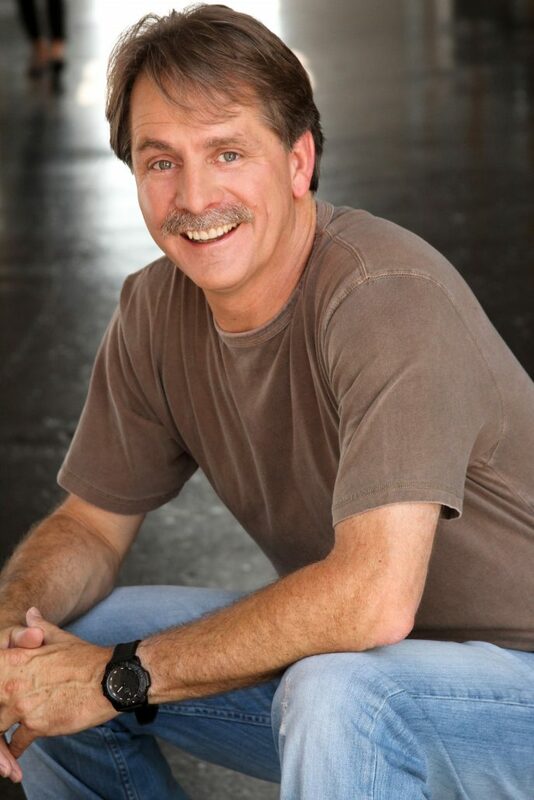 Jeff has also been bestowed with a People’s Choice Award as “Favorite Male Newcomer” for The Jeff Foxworthy Show. He also won TNN’s “Comedian of the Year” three years in a row. Jeff is also the author of eleven best selling books, his latest book is The Final Helping of You Might Be a Redneck If… His first four books explore the phenomenon of the redneck: “You Might Be A Redneck If…” (now in its 30th printing), “Red Ain’t Dead,” “Hick Is Chic: A Guide To Etiquette For The (Grossly) Unsophisticated” and “Check Your Neck.” Jeff’s fifth book “You’re Not A Kid Anymore…” was a departure from his previous books as it poignantly and comically looks at the tell-tales signs of getting older. His 1995 book “Games Rednecks Play” offered a humorous preview of the 1996 Summer Olympic Games, since Atlanta was the site of the Olympics. 1995 brought “Redneck Classics,” a best-of compilation of his earlier writing efforts. His 1996 book from Longstreet Press was entitled “Those People,” which is filled with humorous drawings from Jeff’s observations of his fellow man from many years of being out on the comedy club circuit. “The Foxworthy Down Home Cookbook” was published by Longstreet Press in November of 1998 and includes recipes from Jeff and his father, Big Jim. To date, Jeff has sold over 5 million copies of his various books and over 1.5 million copies of his annual calendars. Currently Jeff also has a line of twenty-eight greeting cards through American Greetings, which came out in June of 2001. In the first 19 days the cards sold more than 133,500 pieces. The cards can be found in all Wal-Mart stores. It’s hard to believe that 14 years ago, Jeff was about to quit his $30,000-a-year job to work the comedy club circuit so he could make a whopping $20 a night in smoky comedy clubs. In no time at all, Jeff began winning several national and regional comedy contests, developing a loyal fan base. Those first six or seven years, Jeff paid his dues by working 48 weeks a year on the road.